Interview with Habeeb Akande: Internchange on why he wrote his book about Racism within the Muslim. The reason why we will be off for a awhile. We have had an amazing journey, a journey that made us realize that there is so much energy and potential through literature. Words literally can crush mountains and by pass souls. Words and ideas in sentences speak actually louder than words if they are applied properly. They occupy us for days. The feeling after reading a great book. It changes the view we see the world. We have been among the first News Blogs in the UK that discussed Muslim current affairs in a unique manner. Many of our stories were organic or local situations that impacted people internationally. A serious question that requires a serious solution. time is running and ramifications are increasing by the day. We must get back and join the league of impeccable journalist swiftly. 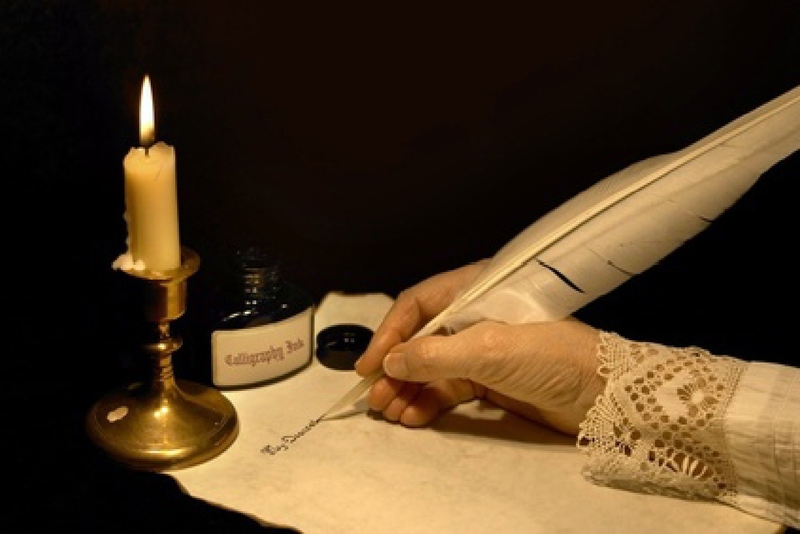 And write until our fingers get numb by the key boards,write until we think that sole purpose for our existing is to write about the glory of realization there is objective justice. A justice that descended from 7 heavens to us to live and die under one condition. There is no deity or god worthy of worship But Allah سبحانه و تعالى and Muhammad صلى الله عليه و سلمis his final messenger. Well does this mean the end, no of course not as long as we breathe and think, as long as we hate and love, engage and seclude our self, will internchange stand. We openly say it and don’t beat around the bush. Our aim is to crush the conventional media outlets into pieces through superiority in literature, reasoning and executing. Goliath went into the battle as winner but lost his sight by his own exaggerated sense of his own importance and abilities. Conceited he was, and expensive was the price. on this note we are signing out, and enter the flight zone, leave this atmosphere and aim to the space. It is been a week a ago since Nahid Almanea was murdered. The 31, Saudi, PHD student was brutally murdered on the streets of Colchester possibly because of her dress code. The Islamic visual Impact of the Thobe, abaya, Niqaab and Hijab is the source for the Muslim identity that has caused a lot of controversies in the last few months. Taqwa being the overriding factor for the Muslim identity is what shapes a Muslim. And what comes out of it is this super nova of energy. It happen in history during slavery in Brazil and North America and the Caribbean and it is what s happening in 2014 In the UK. Pure resistance against the status Quo. 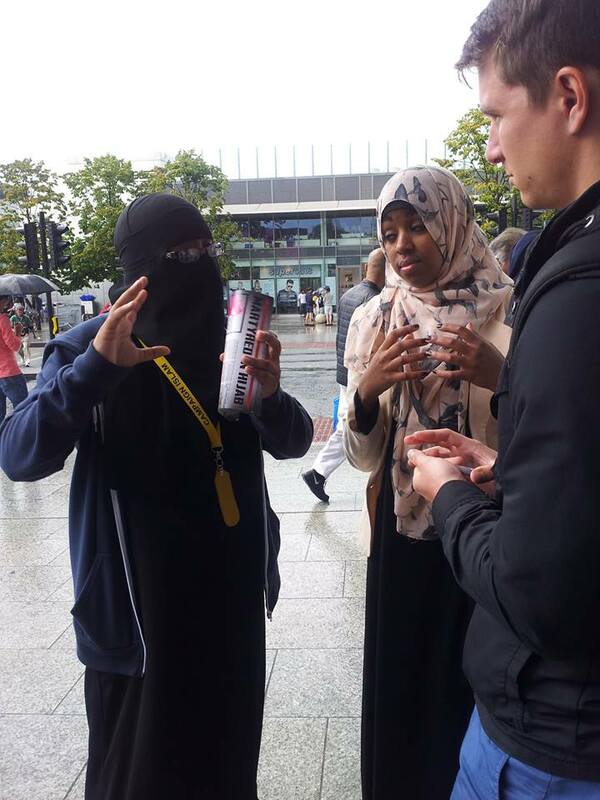 In response to Nahid Shuhaada “Campaign Islam ” and a troop of sisters from across the country met In Shepherd Bush to take part in Dawah. The aim of the Campaign is to signify that Muslim Women cannot longer play into the same old narrative. The lies and assumption must be uprooted and the seed of truth must be planted again. Yesterday the first step was made by engaging with the yet cluesless public. The woman behind the veil outspoken, confident in the public eye. We can only imagine how many people were waiting for this opportunity to talk to the voicless image that the media had depicted as vulnerable and weak. The Sisters were accompanied by a group of brothers, relatives and police officer. The event in itself was really much welcomed by the locals. Maybe an indication that there should be more energy and time invested in such peaceful events. What amazes us is that instead frustration,outcry or tears positive energy was flowing. The same energy our noble Prophet SAS used to convey the message to the people in the most difficult times. We must learn one thing here, we are the ones who must take the responsibility for our shortcomings. 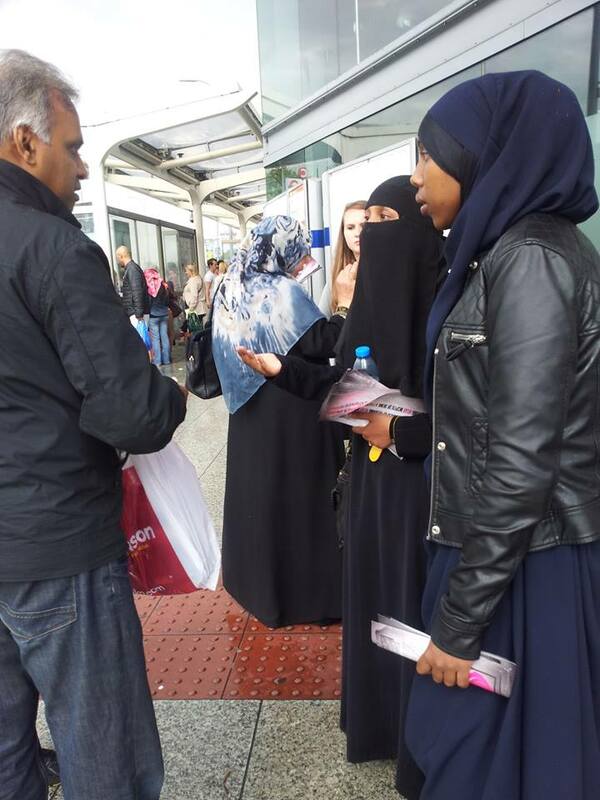 Sister Nahid’s Shuhaada gave birth to ” The Maytred in Hijab” campaign. It made us more aware of the lack of the sisters having a platform to speak for themselves. We greatly disagree with liberal facade feminist want to sell us to but sometimes it is easier to let the so-called victim to speak and clarify for themselves. We all know about the cliché of the oppressed women in Saudi Arabia. 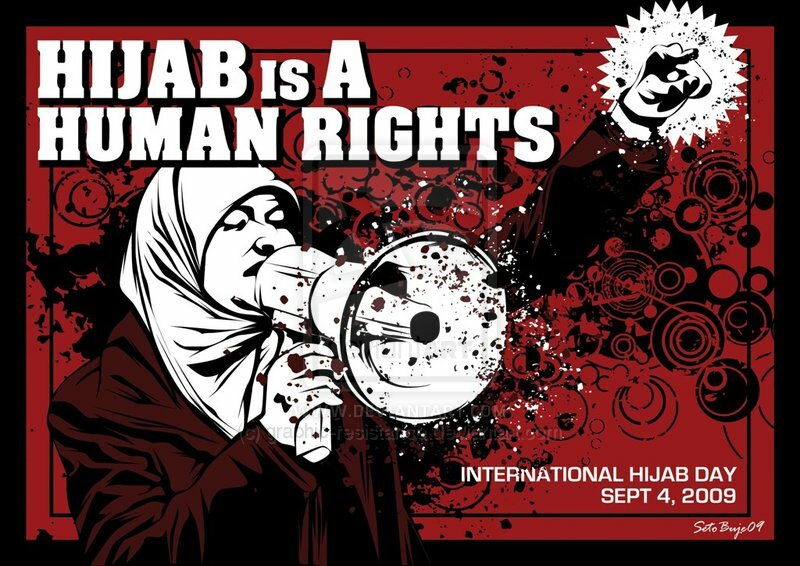 We all know about the concerns politicians media outlets and human rights organisation seem to have, but what of an oxymoron it is to realise that the heroine came from Saudi Arabia to the west. Furthermore she decided not to escape the so-called oppressive society, how ? She remained a covered Muslim in obedience to Allah swt. She sticked to what she things was right, morally and if you like politically. She remained Muslim by heart and by the exterior appearance. What beautiful outcome for the believer. The idea that someone died as victim on that morning in Colchester is an estranged notion for a Muslim. The Muslim woman is never been a Victim and never will be. We witnessed ourself yesterday. Campaign Islam the renown group of female duaat delivered a motivational speech during the induction and was coordinating the campaign. The call of action is to force the media to pick up on the campaign and promote one way or the other. The process of it will be through encouraging sisters to take pictures of them Hijab send it daily mail twitter hashtag it as “martyred in Hijab” . The true message behind the campaign, is the empowerment of the Muslim Women. A message that must be over repeated until the last person on this earth knows ” The Muslim Women” is the true wonder women.